On June 8th, the world lost a member of the Blues Brothers Show Band and Revue. Alan Rubin was 68. He was a trumpeter, flugelhorn player, and esteemed sideman. More importantly, he was Mr. Fabulous. "Mayor Daley no longer dines here. He's dead, sir." 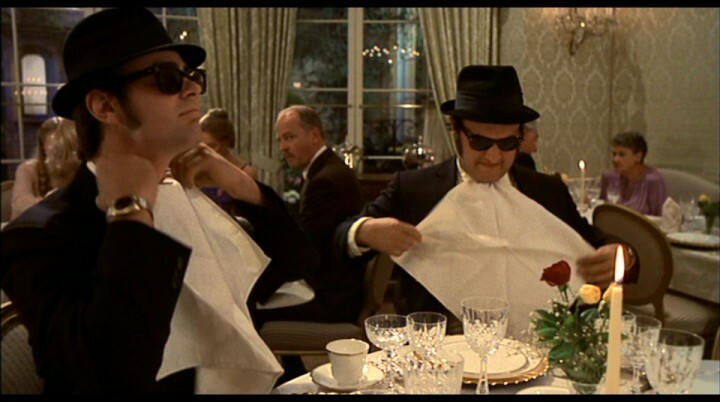 The Blues Brothers is one of my very most favorite movies ever. In fact, I would place it in my top three, after Psycho and Gone With the Wind. I'm a woman of simple tastes. Here - buy it. You need to own this movie. I could go on about The Blues Brothers all day - in fact, I could probably reproduce most of the dialogue verbatim off the top of my head - but I'm not here to talk about the movie today. I'm here to talk about the band. Because the Blues Brothers was a great band. While Jake and Elwood Blues were rumored to be a couple of comedians who dabbled in music on the side, their backups were among the finest rock, jazz, and blues musicians in the world. Steve Cropper and Donald "Duck" Dunn were members of Booker T and the M.G.s, the house band for Stax Records. If you dig anything by Otis Redding, Wilson Pickett, Sam and Dave, or Johnnie Taylor, you dig Booker T and the M.G.s. Plus they recorded the best version of "Jingle Bells" ever. Blue Lou Marini and Tom "Bones" Malone were sidemen extraordinaires, blowing saxophone and trombone, respectively, with everyone from Blood, Sweat, and Tears to Woody Herman. They both got their start in the One O'Clock Lab Band at North Texas State University, which gives them Texas cred forever. Matt "Guitar" Murphy was an honest-to-God Mississippi bluesman, best known for being part of Memphis Slim's band, although he also played with a Who's Who of blues and R&B musicians including Howlin' Wolf, Ike Turner, and Etta James. Willie "Too Tall" Hall drummed extensively for Isaac Hayes (he played percussion on "Theme from Shaft"! ), as well as tons of other Stax/Volt artists. 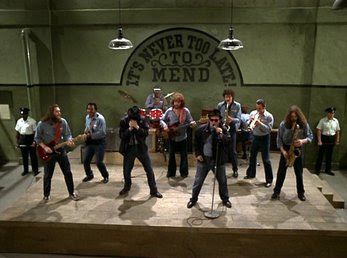 Murphy Dunne was almost a fluke as the band's keyboardist, being cast as an actor in the movie because original piano player Paul Shaffer (yes, David Letterman's Paul Shaffer) couldn't appear due to other commitments. In addition to playing music, he's also done a ton of acting and voiceover work over years. So this was quite simply a slammin' band, and Alan Rubin rounded them out on trumpet. You know the awesome trumpet solo on Blood, Sweat, and Tears' "Spinning Wheel"? That's Alan Rubin. He used to say his professional biography was "Been everywhere. Played with everyone." That includes Frank Zappa, Eric Clapton, Duke Ellington, Aerosmith, Paul Simon, Ray Charles... You get the idea. The Fabulous Blues Brothers Show Band and Revue. ﻿ Jazz guitarist Steve Khan said of Alan Rubin, "Many have described him as a lovable prick, but he was always wonderful to me. I guess if he liked you, you never had to worry about just how cruel, sarcastic, and cynical he could be." Sounds like my kind of guy, to be honest. In The Blues Brothers, Mr. Fabulous was a member of Jake and Elwood's band until Jake got sent to prison. He then became the maître d' at Chez Paul on N. Rush Avenue in Chicago...until he was persuaded to rejoin the band. lunch, and dinner every day of the week." ﻿﻿﻿ And the rest, as they say, is history. Mr. Fabulous is the first member of the band to pass away (apart from Jake, of course). That's a pretty good run, but the joint is a little less soulful now that Alan Rubin has left it. Wherever he is, I'd like to think he's on a mission from God. Thanx for all the info. "The Blues Brothers" is one of my favorite movies, too. I wanted to find out more about the band, and this is...er...fabulous. Really. Alan Rubin was a big part of the film and the scene in the restaurant is hilarious = great straight man to the brothers hijinx. RIP, Mr. Fabulous. Great movie and great artist. Thanks for the write-up on Alan Rubin! He was a great player and is sorely missed. For the record, though, the trumpet solo on Spinning Wheel was Lew Soloff, another giant who left us too soon. Man most people have NO idea how close that movie really is to the Life musicians lead, nowdays more than ever..LOL....That movie, like the BLUES itself lives forever and YEAH that IS Lew on that solo on "Spinnin Wheel"